Fructose is the natural sugar in fruit and in general, this is not bad for you if you are a diabetic. Our bodies digest fructose a lot slower than normal table sugar or sucrose therefore the exceptions are some melons and pineapple. 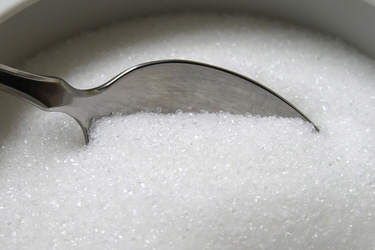 The American Journal of Clinical Nutrition in 2008 advised diabetics to use fructose instead of sucrose because of a study that was completed by some researchers. Fructose allows slower digestions, therefore doesn’t cause the high glycaemic swings that other types of sugars do. It doesn’t really matter what type of fruit you eat as there isn’t masses of sugar in any of them to make them bad for your health. Fruits like peaches and cherries tend to taste sweeter but they are not hugely different or worse for you than the citrus type fruits. Let’s have a look at a comparison, 1 cup of strawberries contain around 60 calories, 3 grams of fibre, lots of vitamin c and minerals and around 7 grams of natural fructose. A 20 ounce bottle of soda has around 220 calories, no nutrients and around 60 grams of added sugar! There is a huge difference in the 2! There are 2 different types of fructose, one that is natural and good for you and the other that is bad for you which is high fructose corn syrup. You will find a lot of tinned fruits are filled with high fructose corn syrup and these are going to spike your blood sugar. Look out for the ones that filled with natural juices or buy fresh or frozen to be on the safe side. 24g of sugar a day for women and 26g of sugar a day for men is what is recommended by The American Heart Association, however it is easy to go over this without even realising it! Just 2 cups of sliced bananas have 36g of sugar alone, therefore you need to be careful and really think about how much sugar in fruit you are having each day. If you have too much sugar in your diet not only does it make you put on weight, it can increase your risk of heart disease and high cholesterol as the triglycerides in your blood stream increase. It is also bad for your teeth and can cause tooth decay. Limit the amount of fruit that you eat as even though the fibre and nutrients that you get from them is healthy, they can be very high in sugar if you eat too much. Next articleWant to Know the Real Causes of Belly Fat?